It is heartwarming to see the Boeing Dreamliner making a sure recovery from its delayed production schedule. Boeing deserves renewed faith in the B-787 from potential buyers, not so much because of the recent WTO decision against Airbus, but because the American aircraft manufacturing company is now more familiar with the fine art of outsourcing the construction of new aircraft not only to ‘safe’ partners, such as the U.K. , but to possible future competing Asian countries as well. 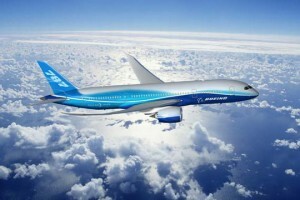 Boeing’s transition toward outsourcing the construction of its most modern transport aircraft has been considered as the major reason for the delay in production of the Dreamliner. The European consortium EADS is still ahead of the game on that level, by most accounts. For example, EADS has allowed China years ago to assemble Airbus 320 on site, knowing that outsourcing often results in a transfer of technology most likely beyond the limit stipulated by contract. Boeing, on the other hand, chose safe subcontractors in its outsourcing policy, from within the USA or with predictable economic partners such as the U.K., perhaps under pressure from the controversial Buy American Policy. 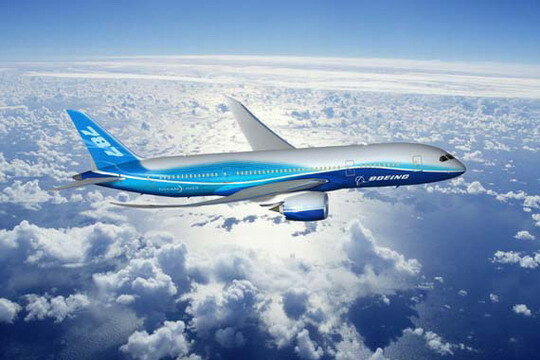 Boeing’s claim to put into service a new transport jet, the B-787 Dreamliner, that will emit 20% less pollution and burn less fuel* is not all that impressive inasmuch as the claim can very well be perceived as being too little too late. Also, such welcoming figures are not wholly in response to pressure from environmentalist organizations. On the positive side, the claim does signal a new trend that might accelerate in the next couple of decades, still behind previous promises made in Copenhagen and Davos. Moreover, who should really be credited for that reduction in pollution levels: Rolls Royce, General Electric or both? Isn’t it unsettling that news media consider the Boeing 787 and the Airbus 380 as totally different aircraft, and yet track them both as bed-fellows in the sky in terms of the race for the highest number of firm purchase orders? More reliable sales figures will emerge after the Farnborough show is over. Even then, the figures will not be finalized because one has to differentiate firm orders from other variations of formal interest in the purchase of new passenger jets, namely options to buy either aircraft. After all, Boeing’s sell/purchase contracts might not worded in the same way as those normally used by EADS, for instance in matters regarding penalties for cancellation, not to mention the airlines’ own brand of stipulations. Grouping sale figures under one concept of sale and purchase agreement is risky for aviation reporters and analysts. 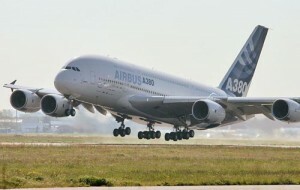 The Airbus A-380 and the Boeing Dreamliner yield different cost figures on a seat-per-mile basis. It would be most interesting to find out which one is the uncontested winner on that score. 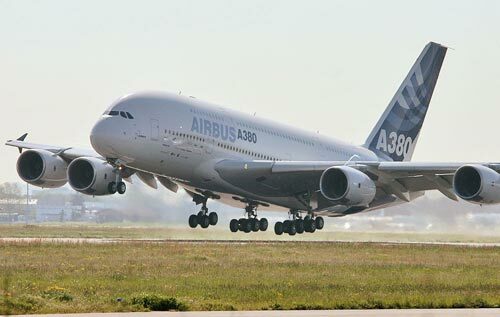 In the case of the Airbus A-380 in particular, the difficulty will be to focus on a seating configuration that will carry the day in terms of profitability. Seating arrangements can vary between 550 to 850 passenger seats, depending on the scheduled routes flown and type of airline. It is obvious Ryanair will not choose the same cabin configuration as Emirates Airlines. Would you know that the Douglas DC-7 would not have seen the light of day in the early 50s, had the Douglas Aircraft Company not managed to secure 40 million dollars worth of firm contracts while the most advanced and last piston-engine transport aircraft was still on the drawing board? However, trading in new advanced passenger jets nowadays offers aircraft development financing solutions as creative as those used for the purchase of new transport aircraft types rolling off assembly plants, within WTO safeguards, of course. PS: Aircraft fuel-efficiency is a relative concept resulting mainly from the economic circumstances of the day for airlines, knowing that fuel costs alone amount to around 30% of operating costs. At present, one would be hard pressed to find general standards of fuel efficiency set out by aeronautical regulatory agencies.